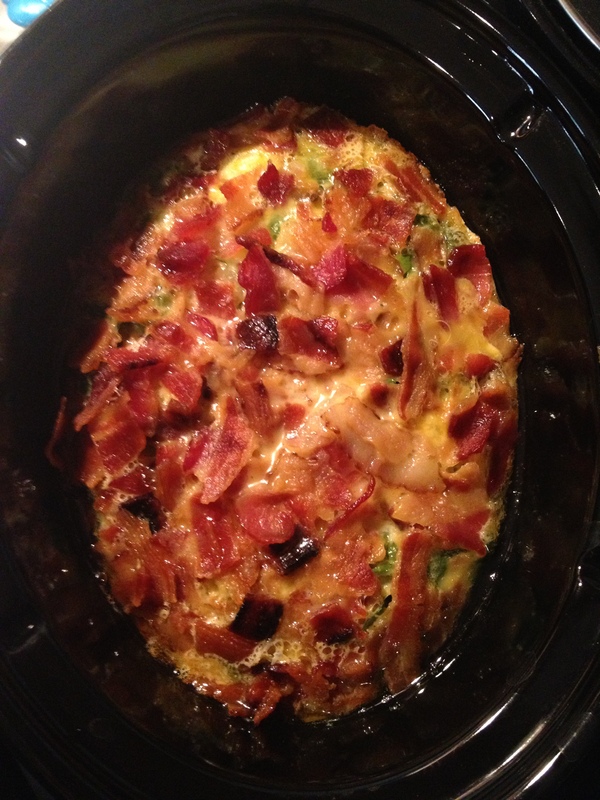 This is a great Christmas Casserole, you can add sausage too! Turn it on before bed and wake up to breakfast! thanks! Would it be possible To make this without the cream? Could you use low fat milk or possibly Chicken broth??. The low fat milk would substitute nicely. I don’t think the chicken broth would, but you are welcome to try! What is the nutrition values for it? I’m sorry for not replying! The holidays got away from me. Did you try double or tripling it? You could probably double it in a standard size slow cooker. I don’t think a triple batch would fit. I updated the recipe. 8 servings.